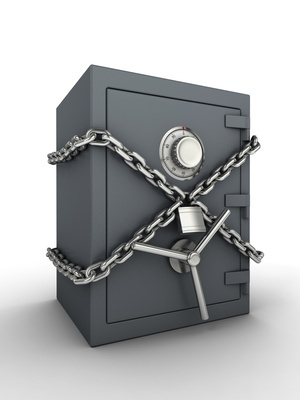 Security deposits offer tremendous value for landlords. By deducting expenditures directly from the funds set aside at lease signing, the landlord saves the trouble of chasing down the tenant to collect for minor damages. A security deposit offers incentive for the tenant to return the rental in good repair so the landlord can get a new tenant in quickly, avoiding losses from a vacancy. But these deposits are also one of the major reasons for tenant disputes. Only take deductions for damage to the property caused by that tenant or their guests. Damage is akin to something broken, missing or misused. Ordinary wear and tear cannot be deducted from the deposit. It is impossible to say ahead of time what is wear and tear and what is damage, because there are infinite ways a tenant can damage a unit. But deducting for ordinary wear can lead to penalties–and a landlord could wind up paying the tenant rather than the other way around. Keep the cost of deductions exact. Keep in mind that the security deposit funds belong to the tenant. Don’t round up or add on margin. Avoid estimating costs if possible. Instead, try to obtain receipts for actual expenses. Do move-in and move-out inspections with the tenant and take pictures or video. It is the landlord’s burden to prove that damage occurred. Before and after photos are one of the best ways to offer such proof. Have the tenant sign the inspection reports. Perform routine inspections throughout the lease term, and plan one a few weeks before a planned move out. Educate the tenant on what you expect the unit to look like by move-out. Be sure to offer adequate notice before conducting the inspections. Consider flooring and finishes that are easy to repair and easy to keep clean. Offer a tenant orientation on how to avoid damage to walls, floors, appliances and the like. Take the time to discuss disputes with the tenant. Show them photos, receipts, estimates– anything that will help them understand where you are coming from if you have to take deductions. Listen to what they have to say. Many times, it’s easier–and cheaper, to talk it over together.